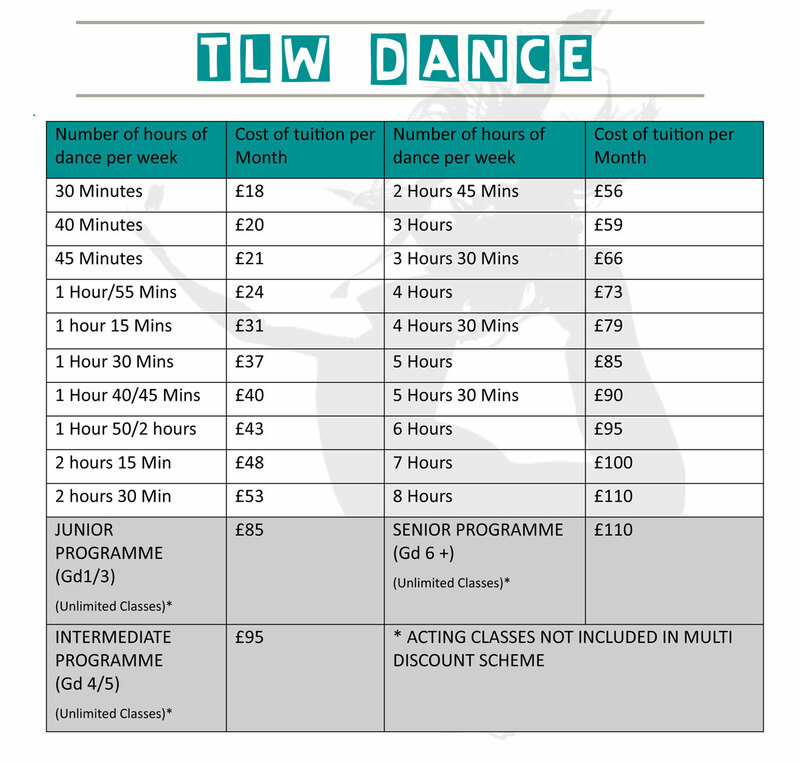 Classes at TLW Dance run on a termly basis, with 3 terms each year running from September through to August. The timetable is subject to change each term, so please ensure you have the correct timetable for your child/ren's classes. 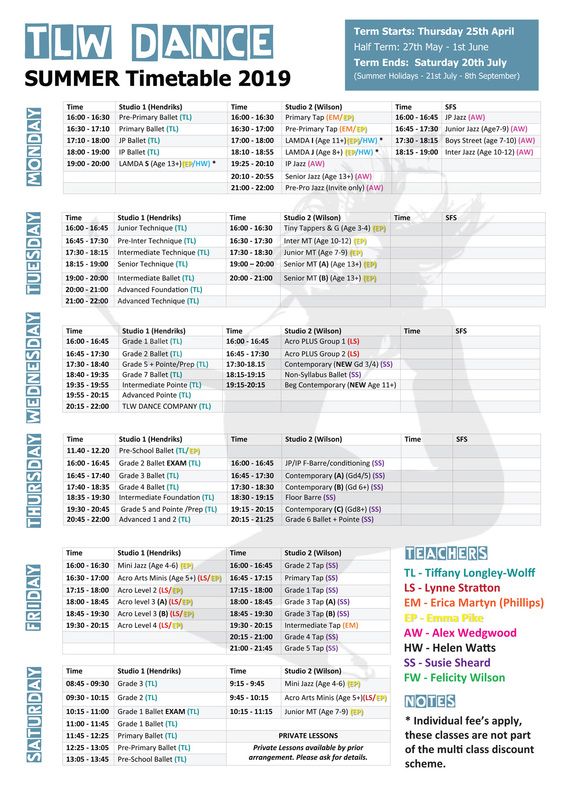 Classes run through term time only, with holidays throughout the year which are indicated on the timetables below. Unless otherwise stated, all classes will be held at the TLW Dance studio. Once you have registered for a class at TLW, you will remain on the register until the end of that school year (unless otherwise arranged); you will then be required to re-register for the new school year's classes during the summer term once the new timetable has been finalised. To find out more about each class, please click on the information buttons or visit our Classes page. To register for a class please sign into our Parent Portal or Register Online. All payments are taken on a monthly basis through our 'auto-pay system on our parent portal. Class costs are worked out hourly and multiplied over 36 weeks, this amount is then divided by 12 months to create a monthly fee. Payments run continously throughout the school year from September through to August and are payable through the summer holidays. We have made no increase to fee's, we have only changed the cost of the 'capped' system. I am sure you can all appreciate with so many new classes available for students it is impossible to keep the cost of unlimited classes the same. * ACTING CLASSES not included, exam classes and additional rehearsals or workshops will incur extra costs.